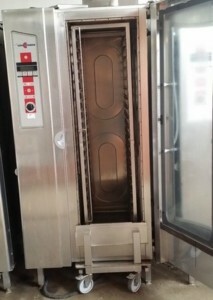 Setting new standards in cost and energy efficiency, the Rational CombiMaster is a combi oven like no other. 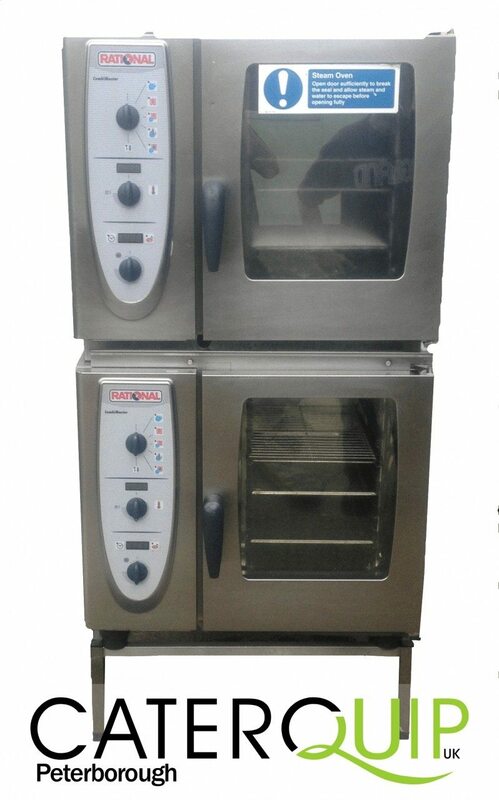 In supreme condition and exceptional value for money, this stacked pair of ovens offer your kitchen all the benefits of combi cooking together with the flexibility of operating one oven for quiet services and two for the peak service periods. Saving you time and money in the kitchen. 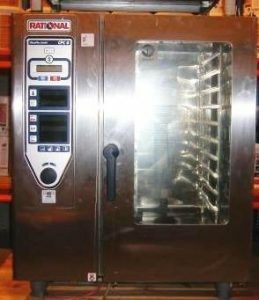 With sensitive temperature control features and heat, steam, and combination cooking, the CombiMaster ensures accurate and uniform cooking, producing excellent results every time. Please note, this product will include dials although pictured without. Give us a call today on 01733 286 000.